KAMAZ will concentrate its efforts on the development of sales in export markets and increasing the sales of automobiles from the new model range in 2017, in parallel with a serious investment in the modernisation of production. 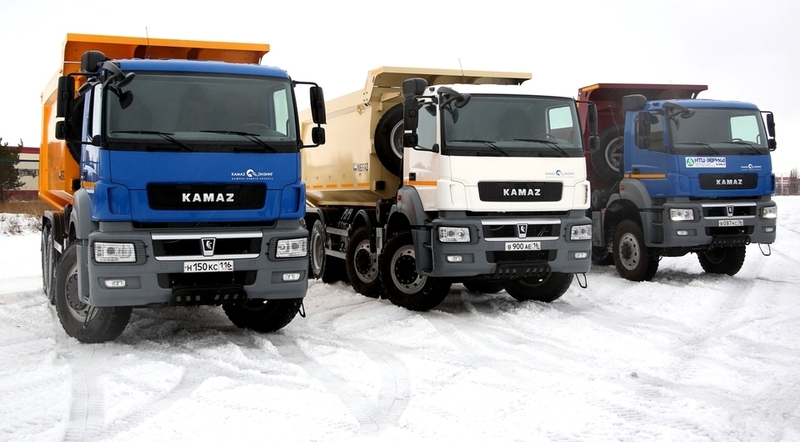 As announced by the press office of KAMAZ, the company plans to sell 36,000 vehicles in accordance with the business plan of 2017, 6000 of which will be exported. “We’ll aim for our traditional markets at the first stage. Iran, Southeast Asia (Myanmar, Indonesia, Malaysia) and Latin America (Colombia, Chile, Uruguay, Paraguay) are the new markets, on the other hand. We plan to resume the assembly of KAMAZ trucks in Iran and Vietnam” – said the general director of KAMAZ Sergei Kogogin. The company has reoriented the exports in 2016. The share of exports to non-CIS countries overtook the CIS countries in the total volume. The head of KAMAZ has mentioned the delivery of KAMAZ vehicles to Cuba as one of the significant contracts signed by the company, part of which will take place in 2017. “In general, in the light of the economic analysis of the countries where we export our vehicles, a great increase in exports should not be expected for the moment” – added Sergei Kogogin. Therefore, the current main focus of the company is the establishment of professional sales teams and search for new contracts and directions. In addition, according to Kogogin, the government has a great role to play by implementing demand stimulating programmes. The company intends to enter the overseas markets with its new flagship model range – KAMAZ-5490. KAMAZ took on a major challenge for 2017: to manufacture and sell 6100 vehicles from the new model range. “It’s necessary to consolidate the position gained by the long-haul tractor KAMAZ-5490 and to expand the production of new vehicles in different modifications. The key factor is that we have to go beyond the Russian market” – stated Sergei Kogogin. A large amount of investment is planned in the development of production, on the other hand. “The development programme of KAMAZ has been formulated in a modular principle and can be transformed depending on circumstances: we won’t stop the priority investment projects even in times of crisis” – highlighted the director of the car giant. The current main projects are the organisation of the production of a new family of 6-cylinder in-line engines and the construction of a new cabin frame factory. KAMAZ invested more than 6.5 billion rubles in the modernisation of production in 2016 and the planned investment in development is approximately 20 billion rubles for 2017. According to Kogogin, as of today, this is probably the record amount of investment made in the history of KAMAZ, excluding the factory construction periods.